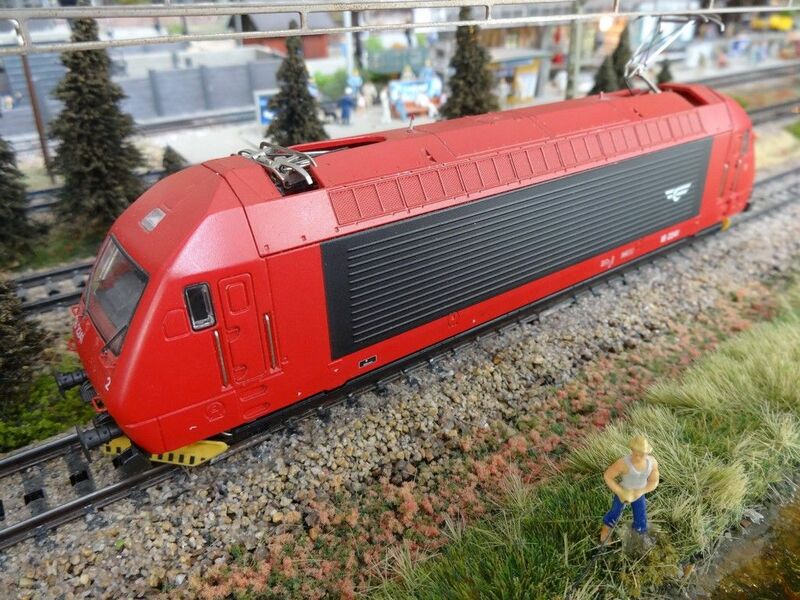 Märklin 2019 New Items delivery Update 18 April 2019.
marklin-users.net community | Forum » General topics » News from Märklin and others » Märklin 2019 New Items delivery Update 18 April 2019. Marklin Delivery list in PDF - >APRIL 2019< Update 8 April 2019. 18 April - 36344, 39209 Temporarily not in stock. 14 April - 60906 in stock & 47219 Temporarily not in stock. 13 April - 36353, 72890 Temporarily not in stock. 20 December - 49570 Temporarily not in stock. >32560< Sold out at the factory - Check your dealers. >36344< Temporarily not in stock. >36353< # Temporarily not in stock. >36644< # Sold out at the factory. >39209< Temporarily not in stock. >39218< Q3 - Sold out at the factory. >39219< Q3 - Sold out at the factory. Marked '#' from 2018 new items. >43878< Q3 - Sold out at the factory. >46914< Sold out at the factory. >47219< Temporarily not in stock. >48119< #Temporarily not in stock. >60906< Temporarily not in stock. >72890< Temporarily not in stock. No Marklin 36183 in your list? Or Märklin 26609, which was scheduled for production in 2018? Marklin starting delivery of 26609 from 23 November 2018. I have add 36183 to list, Thanks for letting me know. Thanks for that info Steven. Neither the dealer I ordered mine from or another large North American online dealer show it as available yet, but that is not a surprise with Walthers guarding me and my dealers from my trains! It does probably mean that it might appear pretty soon though and with any luck it will bring my 37797 along to the party. They have both been on order for almost a year now and it sure feels like it must be time! Does anyone know anything about this loco? 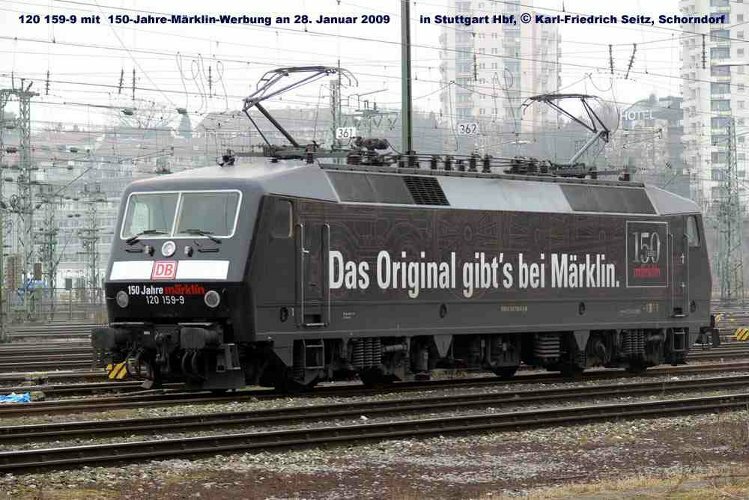 Is it an older model someone has taken and repainted (39370 was originally introduced in 2001) or is it an official Marklin product? I saw it advertised in the latest edition of Eisebahn Modellbahn Magazin. Stephen's Facebook page came up in a google search on that model number, so maybe you know something?? The advert also has similar Tillig, Piko (H0) and MiniTrix (N Gauge) locos advertised. This is the result of a quick search. All models never should have been existed in real life. I saw the video and the above link, but wasn't sure what I was looking at on that link. As per the video there is one loco that has been painted in those colours - 101 112. One of the posts in the Stummi's thread suggests this loco will be in these colours until April 2020. I was also aware of the previous blue/cream livery of a BR101. I have an attraction for all trains TEE and others in the red/beige livery. 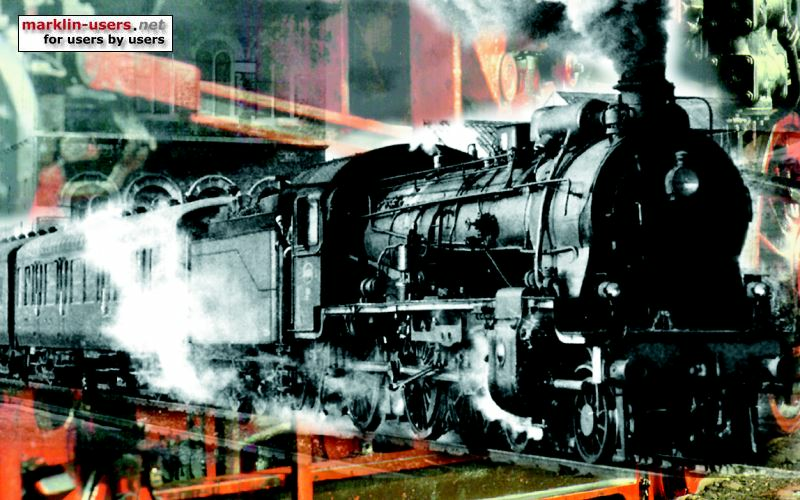 Was the BR 101 loco shown in post ## 7 & 8 a real locomotive in service or another "fantasy loco"? Sorry, my fault and misunderstanding. Yes this one loco is really existing and running. But it is a marketing loco, like the Märklin loco was (or still is - I do not know). As far as I know this one is established by the "Wild 13" dealer group (probably with support from Märklin) just for their marketing purpose to sell special developed trains equals to the Rheingold. The same loco has been beige (or creme)/blue colours before in real life too. And yes this special colour edition loco is running on the regular railway network in Germany. I read that train spotters are waiting for them in real life already, to do nice pictures of this special edition. What I wanted to say was, this loco in these colours has never been part in the regluar stock of DB AG locos. Also never was this loco pulling a Rheingold at regular scheduled operations. I don't believe that Marklin had anything to do with the red/cream (or blue cream) paint jobs for this loco as W13 have also had loco and coach sets from Piko for this train in both colour schemes. Waiting for marklin database, I will add to list if show up. >32560< Q2 - Sold out at the factory. January PDF should be online tomorrow or Monday. 39880 new tooling BR44 delivery begin next month. >36432< Temporarily not in stock. >43212< Temporarily not in stock. Mfx signals due February but date back to Q2. >37215< Temporarily not in stock. >37216< Temporarily not in stock. >72709< Temporarily not in stock. >74462< Temporarily not in stock. >39218< Q4 - Sold out at the factory. >46914< MARCH - Sold out at the factory. Marklin delivery planning date for February 2019. >37026< Temporarily not in stock. >48934< Temporarily not in stock. >37209< Temporarily not in stock. >47067< Temporarily not in stock. >36644< Temporarily not in stock. >37508< Temporarily not in stock. >46210< Temporarily not in stock. >39880< Temporarily not in stock. >72886< Temporarily not in stock. >43224< Sold out at the factory. >36644< Sold out at the factory. >26614< Temporarily not in stock. Steven-just wanted to say thank you for keeping us updated! Just wanting to ask when is 37119 is scheduled for delivery in Q2? >46937< Temporarily not in stock. ESU has an update ready for the ECoS, the Lokprogrammer and the mobile II. >37426< Temporarily not in stock. >46874< Sold out at the factory. >46913< Temporarily not in stock. End of May or early June. PDF planning delivery for April in two weeks. >36183< Temporarily not in stock. >39978< Temporarily not in stock. >46938< Temporarily not in stock. >48342< Temporarily not in stock. I see in the Maerklin New Items 2019 catalogue (for 4th quarter delivery), they list a Reihe EL 18 electric locomotive with Norway State Railways,. It is item 39466 with scenic graphic design. I saw these locomotives around Bergen in 2015, and thought members may be interested in the photo of the real thing with same graphics as the model. To purchase this model, I am very tempted. I took photos of 3 locomotives with this design (182241, 182242, and 182248). And if you happened to want the similar model in an earlier colour schme, here is 18 2241, Maerklin item #34635. Photo courtesy of Utkan of this forum. Thank you Mehmet. Nice picture, did you try the Flåmsbana ? If interested,NSB El 18, in old paint scheme is available new from some Norwegian dealers as Märklin 37463. Road number EL 18.2255 and comes with mfx sound. >36353< Temporarily not in stock. Thank you for information on 37463. It was hauled by the EL 18. In the snow and while it was snowing at Myrdal. We never see snow in Australia so that was a treat. I recommend Norway in winter - it is so different. I think he also needs to go to Canberra in the winter, or take the train up Blue Cow Mountain.